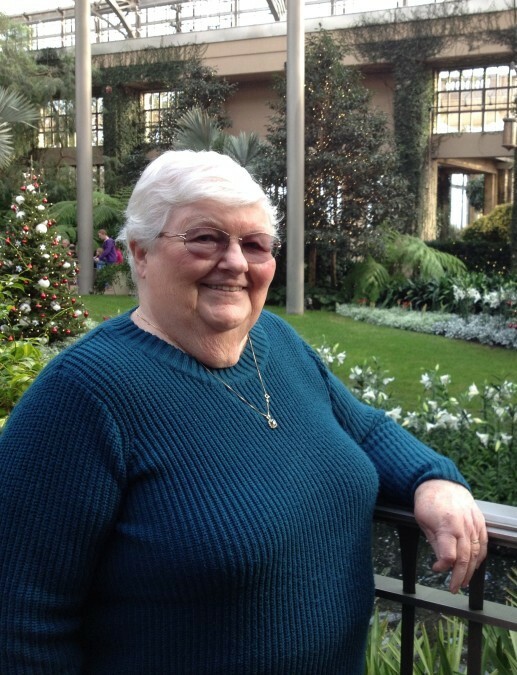 Elizabeth “Liz” Lindamood Bowers of Severn, MD passed away Friday, April 5, 2019. Liz was born on August 15, 1936 in Washington, D.C. and was the daughter of the late William and Georga Lindamood. Liz was preceded in death by her husband of 43 years David L. Bowers. Liz is survived by one son, Andy Bowers; one daughter Sara Thomas and her husband Gary; five grandchildren, Adam Bowers and his wife Morgan, Nikki Bowers, Rachel Brewer and her husband Travis, Jessica Thomas and Matthew Thomas and two great grandchildren, Melody and Peyton. The family will receive friends on Sunday, April 14, 2019 from 2:00pm to 4:00pm and 6:00pm to 8:00pm at Donaldson Funeral Home & Crematory, P.A. 1411 Annapolis Road Odenton, MD 21113. A visitation will be held on Monday, April 15, 2019 from 10:00am to 11:00am at Holy Trinity Lutheran Church 7607 Sandy Spring Road Laurel, MD 20707 where a funeral service will begin at 11:00am. Interment services will follow at 2:30pm at Maryland Veterans Cemetery Crownsville, MD.